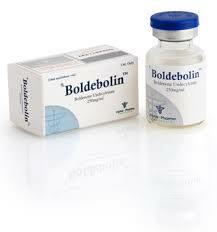 Alpha Pharma Boldebolin 250 mg/ml – Boldenone was originally developed for veterinary use. This is a long-acting anabolic steroid, the androgenic effects of which are half that when compared with Testosterone. While the drug is not inferior to Dianabol on the strength and weight characteristics. The effect of taking Boldenone can be described as slow, but qualitative. Its course is longer, it is longer determined and longer excreted by the body. At the same time, it contributes to an increase in appetite, helps to produce more red blood cells in the blood and increases the flow of oxygen. These advantages make Boldenone very popular among athletes. It is recommended that before starting the course of Boldenone to conduct a medical examination and consult with a sports doctor. He will analyze the experience of previous use of steroids and select the optimal dosage. On average, as a rule, the duration of treatment is 8-10 weeks. For men, Boldenone is recommended at a dosage of 400 to 800 mg, for female female athletes, from 50 to 100 mg. The drug is taken once a week. Some athletes combine Boldenone with drugs such as Winstrol or Testosterone, while reducing the course and taking antiestrogens. Strengthen their action can be a specialized sports diet. Safe and effective, Boldenone Undecylenate helps to slow down the aromatization and almost does not cause side effects in the form of gynecomastia and puffiness. Even with a significant dose excess, an increase in blood pressure is rarely observed. Because of its low androgenic effect, the drug is recommended even for women. Due to the special molecular composition, Boldenone has almost no effect on the production of testosterone by the body, and also does not have negative androgenic effects (such as hair loss and prostate hypertrophy). However, Equipoise is not recommended for beginners – it is better to take it for those whose body already has experience using other anabolic steroids.